work in the marketing industry. During his undergraduate in industrial design, his focus was on designing products that help improve and simplify daily tasks. Currently, his design research interest lies in the exploration of alternative design methods for user experience evaluation specifically in the area of medical devices. 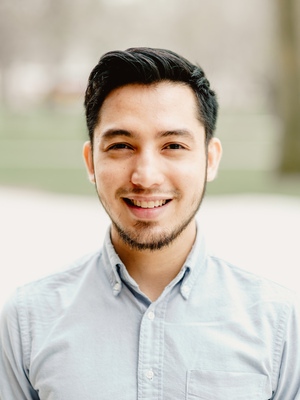 He has worked in graphic design and tech support for the Center for Languages, Literatures and Cultures for the past 2 years and is currently a Graduate Teaching Assistant in the Department of Design.